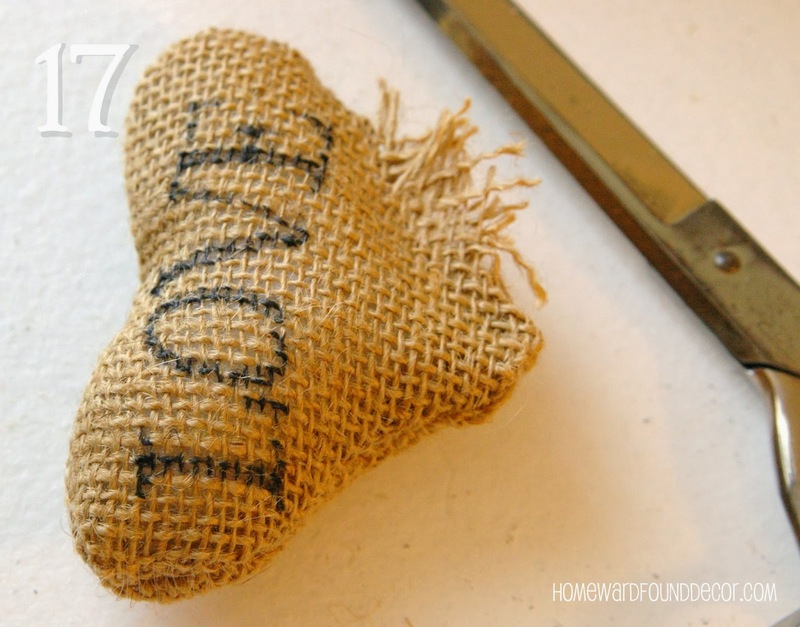 making little stuffed fabric hearts for my winter / Valentine's Day decor. Enjoy this 'fast, cheap & easy'TM craft project! even old tee shirts and sweaters and socks! 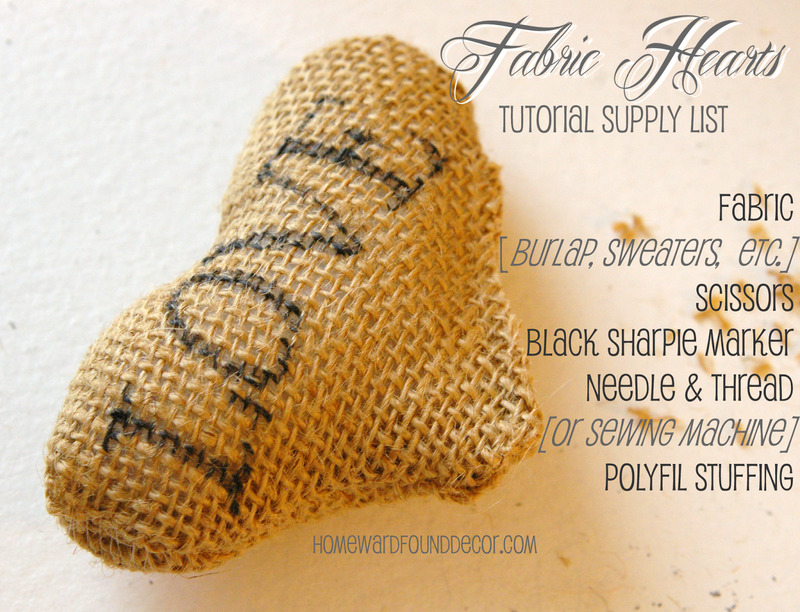 NOTE: burlap is the HARDEST fabric to work with... you might want to start with cotton fabrics or sweaters. 1. Cut a piece of fabric that is @ 6 to 8" wide and 12 to 16" long. 2. Fold it over once, then twice, to prepare it for cutting into a heart shape. 3. On a piece of regular paper, draw half a heart shape that will fit the fabric strip size. You can trace a heart-shaped cookie cutter if you want it perfect! 4. Fold the paper in half at the middle of the heart. 5 Cut the heart shape out. 6. This image is to show you how large the cutout heart is in relation to the fabric. START with 7. Place the folded heart shape over the previously-folded fabric strip. 8. Cut around the heart shape to cut the fabric. 9. 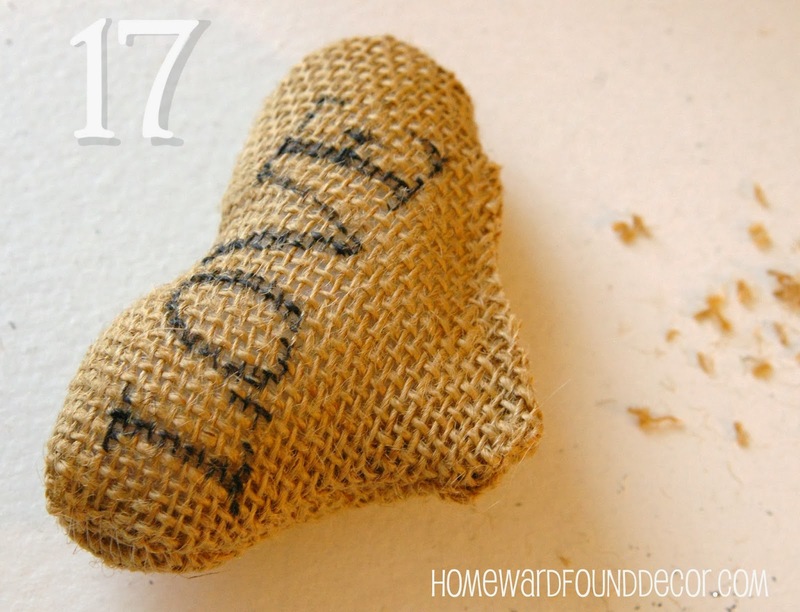 You will have two identical fabric hearts. TURN ONE OF THE HEARTS OVER before you add the word! 11. Then flip the heart back over so that the word is between both pieces. 12. 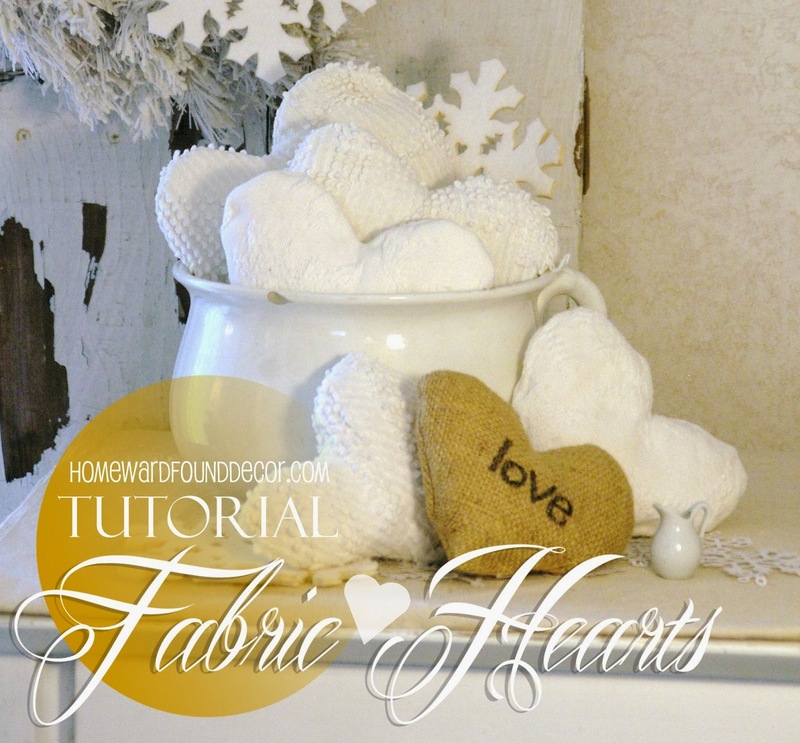 Sew the two fabric hearts together, by hand or with a machine. 13. LEAVE A SPACE UN-SEWN along the bottom of one side! 14. Carefully turn the heart inside-out - you can see the un-sewn area here. 15. Stuff the heart with polyfil stuffing, paper shred, a plastic bag, etc. 16.Carefully sew the opening closed, by hand or with a machine. 17. Trim the edge of the sewn seam to neaten it up. Then display your hearts everywhere! * add the names of people you love - use those as gift tags, or place markers at the dinner table. 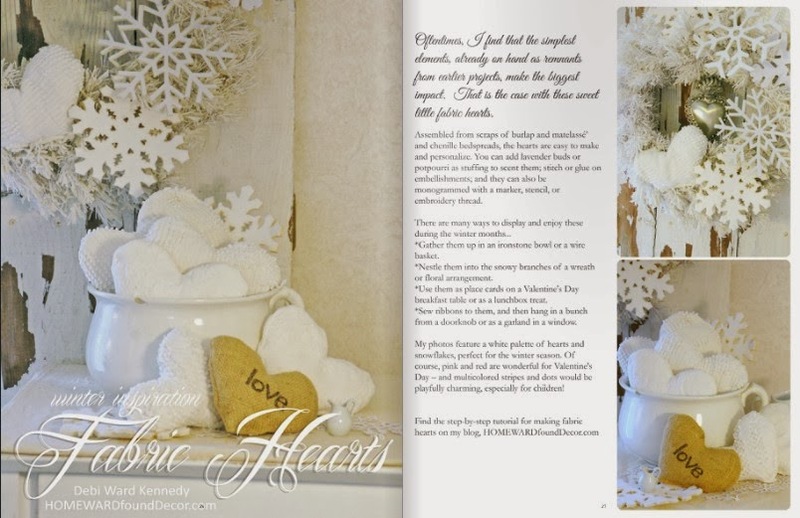 * add them to a wreath on your door, or to your mantel or shelf decor. * add a ribbon loop to the top and hang on bedroom doorknobs on Valentine's Day!